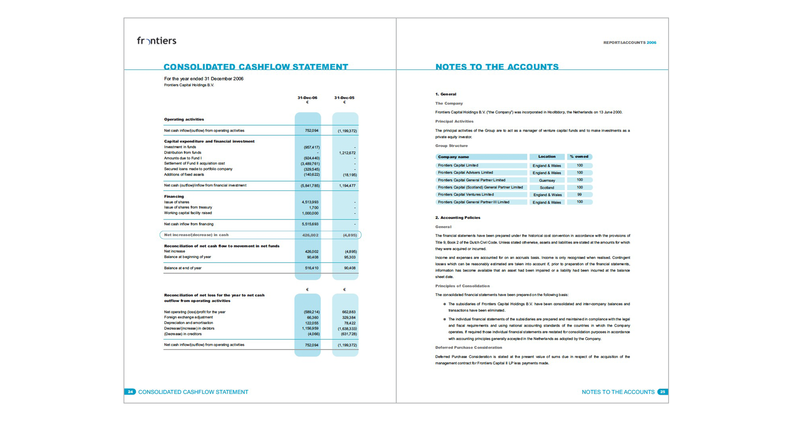 Frontiers Capital are capital investors specialising in IT and Tech companies. 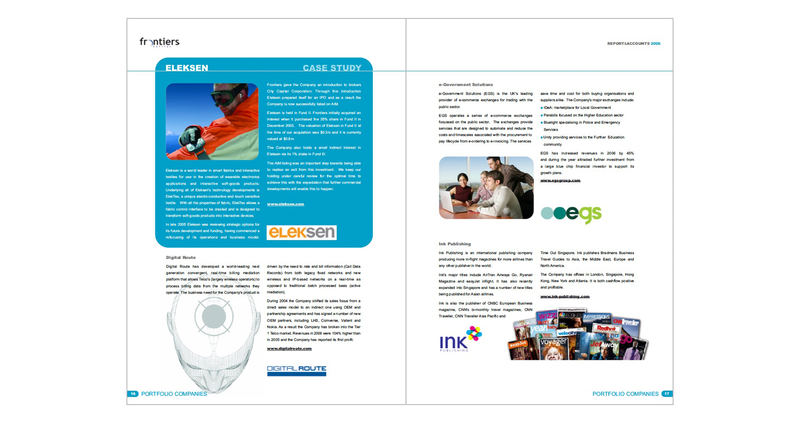 We worked with them producing their Annual Reports. 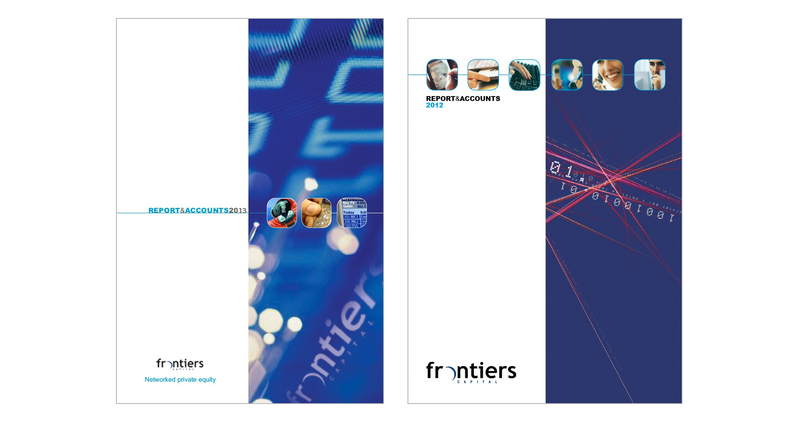 Frontiers have various exciting tech companies in their portfolio, giving plenty of opportunity for nice graphics and images. We did some original photography of the partners with photographer Simon Keats including nicely designed layouts with smart photography alongside the standard accounting pages.